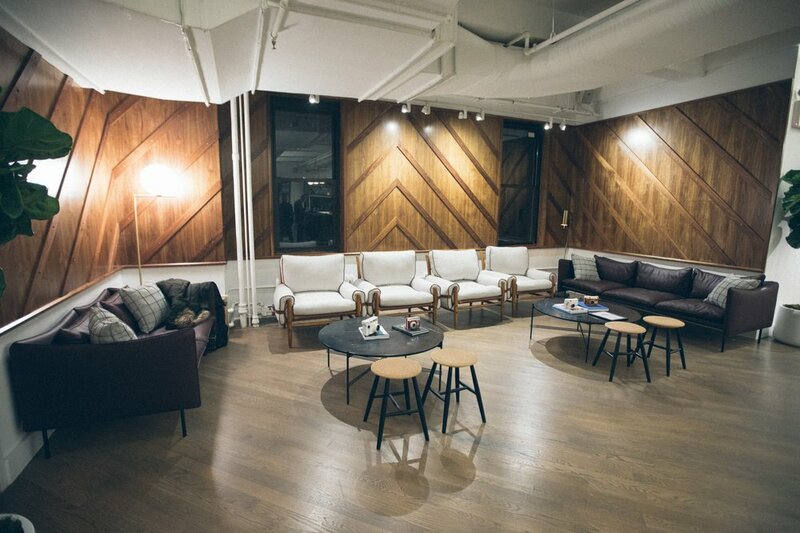 We did a research study to share with you the most elegant, inspiring and timeless coworking spaces in America. 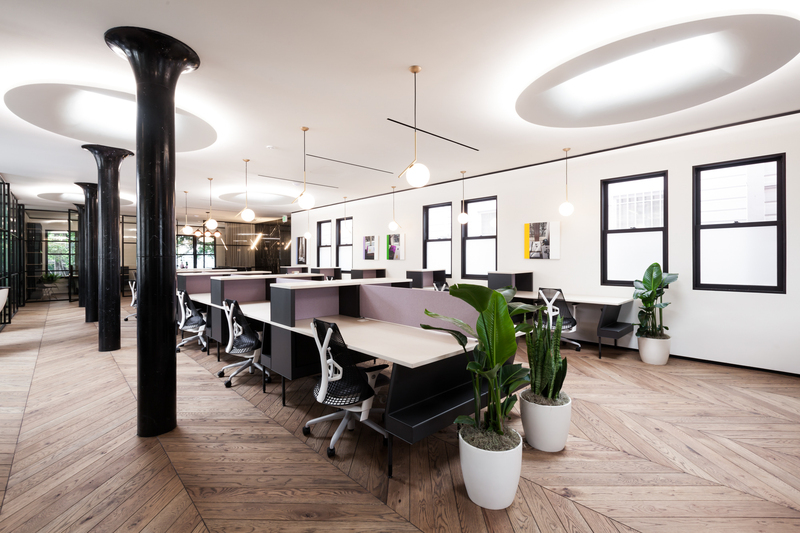 The interior design of this amazing coworking space was created by a very experienced and successful studio – Parts and Labor Design. If feels much more like a boutique hotel than an office space. High-end mid-century furniture together with custom light fixtures and art pieces creates a contemporary “Mad Men” spirit. There are a luxurious Witch & Watchman animal and floral wallpapers in the powder rooms. As Blender describes their vision on their own site: “A designer’s dream come true, Blender is an impressive and sophisticated space that stands above the rest, the perfect community to take your business to the next level”. It can’t be said any better. Canopy space is located in one of the most expensive neighborhoods in San Francisco, CA – Pacific Heights. 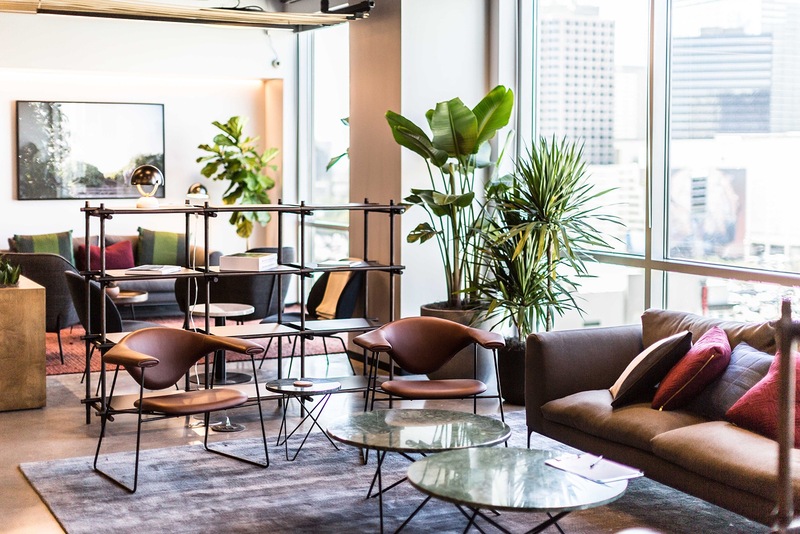 The area compliments the mesmerizing interior design of this coworking space which was created by one of the best-known designers in California, legendary Yves Behar. 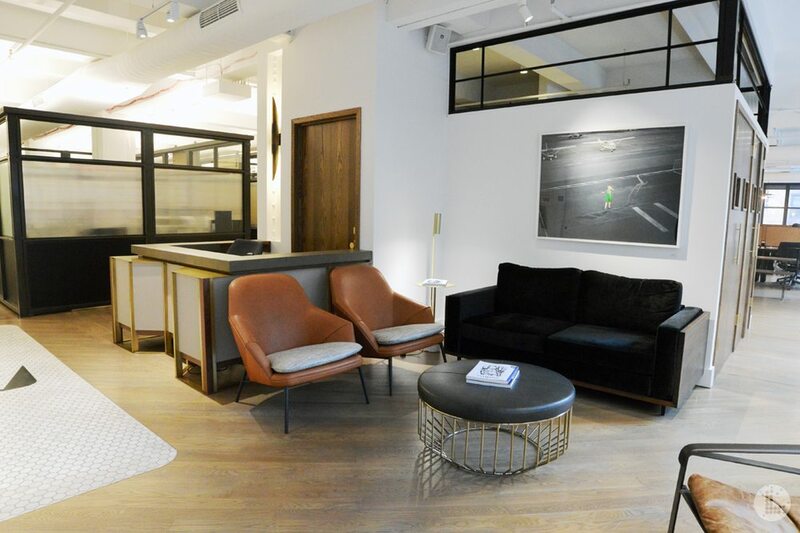 This place wasn’t intended to be the place “to hang out” with your startup team members, but mostly for someone who has already proved their position in the market and needs a comfortable place to work and invite the most sophisticated clients. Choice of the Herman Miller ergonomic furniture shows a thoughtful approach to the Canopy space’s mature clients. Black marble columns with warm-light fixtures in a brass finish and a light-wood chevron flooring brings luxurious comfort. It’s completely bespoke and it’s Yves Behar! 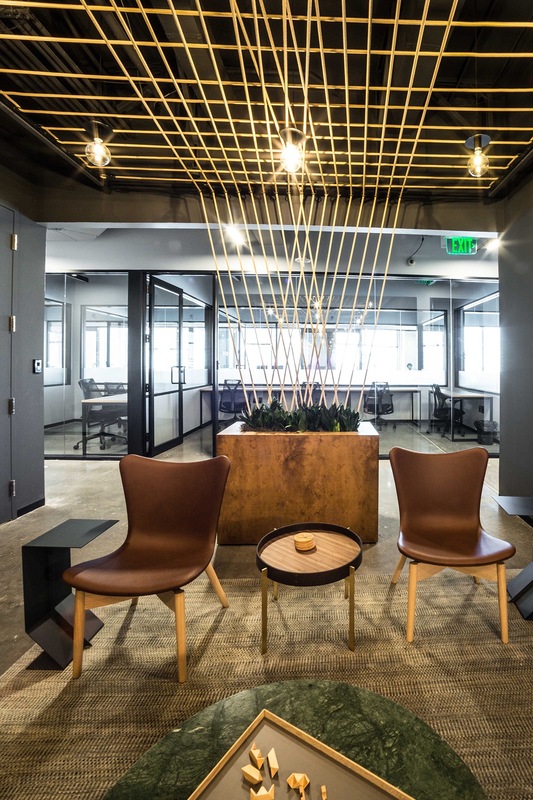 If you ask me to name the most elegant coworking space in Seattle, I will definitely name Coterie worklounge. This workspace looks like a private high-society club. All the details in this place were created with great taste and love. The bites bar area is absolutely beautiful. You can be served all the courses together with a glass of wine from 10 am till 6 pm. There are also two amazing features of their membership options: the first one is that they have a Daily guest pass. 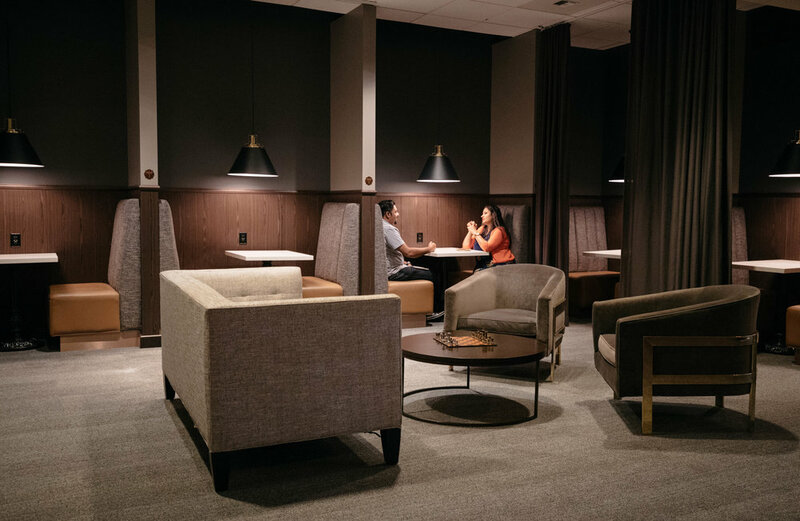 A daily access option is difficult to find in co-working spaces nowadays. The second one sounds even better – this Daily guest pass costs only $30. Just go, work and enjoy! Hip, colorful and sunny coworking space in Miami. Vintage furniture together with contemporary photography and art make this place very modern, light and relaxing. It feels like you are traveling in time – when there were only peace, love and spreading creativity. Their light fixtures are pieces of art. This is the right place for someone who is seeking inspiration and freedom. P.S.They have a pool table in a Lounge area. Industrious spaces have a great and professional team of Interior designers and Architects; no wonder that all their locations look amazing. Their Dallas office is located in the One Arts Plaza, which is a 24-story skyscraper in the Arts District of downtown. Price for the private desk in a shared area is around $460. It is a bit pricey for Texas. 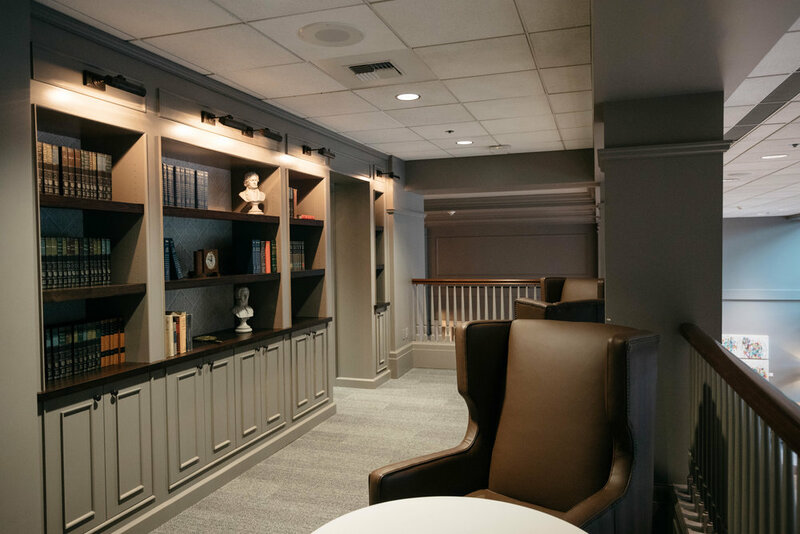 You are having your own desk in a boutique hotel style environment, and in one of the most fabulous buildings in downtown Dallas. You get what you pay for!